Content for the Equality page is currently under development - We want your feedback and input - please email Us with your ideas and suggestions for this page. As well we are seeking volunteers to get involved in making this a successful project. A conversation on Equality and Human Rights (Early january 2018). 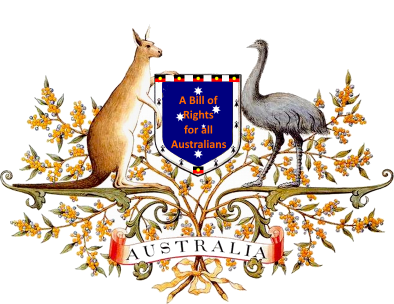 [8:10:47 AM] ANON949: which reminds me - re constitution changes needed - have you read High Court Definition of religion in Australia ? [8:16:14 AM] ANON949: I think its only appropriate . [8:18:33 AM] ANON949: yes - and to me , as a 'Christian ' who does not buy the myth of persecution to justify crippling another , this would safe guard all . [8:19:13 AM] ANON949: The created mythology that early Christians were persecuted cannot be allowed to justify the persecution of another . [8:33:14 AM] ANON949: http://www.unswlawjournal.unsw.edu.au - 16_bruce_1991.pd [8:34:35 AM] ANON949: The right to freedom of thought, conscience and religion is recognised in Article 18 of the ICCPR. Article 18 protects not only the 'traditional' religious beliefs of the major religions, but also non-theistic and atheistic beliefs, as well as the right not to profess any religion or belief. The right recognised in Article 18 is simultaneously an individual right, and a collective right. It has both an 'internal' dimension (the freedom to adopt or hold a belief), and an 'external' dimension (the freedom to manifest that belief in worship, observance, practice or teaching). While the internal dimension is absolute, the external dimension can be subject to certain limitations (on the strictly restricted grounds specified in Article 18(3)). [8:40:09 AM] ANON949: The ICCPR also explicitly protects the right of parents and guardians to 'ensure the religious and moral education of their children in conformity with their own convictions.' A similar formulation is found in the European Convention on Human Rights. manifestations of religion is set out in art 6 in addition to the traditional formulation of 'worship, observance, practice, and teaching' set out in the Universal Declaration and ICCPR. The manifestations set out in art 6 are inclusive, rather than comprehensive, and thus only represent a sub-section of the possible range of manifestations that are protected in international law. The manifestations set out are particularly focused on the rights of religious groups and organisations, including the right to autonomy in the selection of clergy (art 6(g)), the right to purchase and maintain places and objects of worship (art 6(c)), and the right to raise funds for religious purposes (art 6(b)). There is less detail on individual manifestations of freedom of religion or belief. [8:44:23 AM] ANON949: . There is less detail on individual manifestations of freedom of religion or belief.so lets make that a focus given the reality of what has happened - the manifestation of religious belief having been shown to cause harm has clearly indicated that such manifestation ( what ever recognized form to date ) must not permit / allow and assist in the creation and manifestation of harm . [8:45:54 AM] ANON949: It is not, however, a definition of religion or belief insofar as it does not set out either a test for recognising religion or belief (as compared, for example, to a whim or preference or set of habits) or propose any limits for the sorts of behaviours that might be considered religious. [8:47:53 AM] ANON949: Hence we do not seek to define that which is considered as a religion but define what behaviours manifesting from religious practice must be curtailed or prohibited to protect all of the community where it is shown that such manifestation of belief has caused or is likely to cause real harm to any and all members of the broader community . [9:21:34 AM] ANON949: against individuals by individuals against individuals or groups perpetrated by individuals acting in concert with others cloaked in the publicly accepted and respected manifestation of any and all religious practices . [9:25:26 AM] ANON949: We recognize that extant family structures have come into existence as a natural flow of growth in spite of identified religious practices and often in answer to religious practices that sought to undermine family structures and replace them with manifestations of religious practice through organizations ( bodies of faith based groups ) who sought to benefit either spiritually or financially by the displacement of family groups that had developed naturally in the face of challenges presented by the human experience of life . 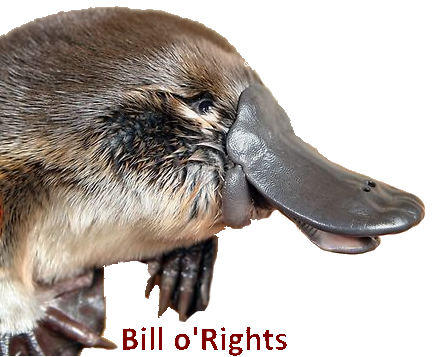 The Equality page is in need of one or more financial or other sponsors Contact us to discuss the rewards of a sponsorship here at the Bill o'Rights project.